Samsung Galaxy J5 & J7 launched in India for Rs. 13,990. Both these devices comes in a mid-range. Samsung has recently released a budget-friendly smartphone in India, Samsung Galaxy J3 with S-bike mode and its priced at Rupees 8,990/- and after its launch Samsung has officially unveiled its two more new Galaxy series smartphones Samsung Galaxy J5 & J7 (2016 ver.) in India. Both these smartphones are the upgraded version for Samsung Galaxy J5 & J7 that were launched last year. Samsung gained a great success and it also gained profit by selling its Samsung Galaxy S7 and S7 Edge flagships. The Galaxy J5 (2016) is a 4G LTE Dual Sim Dual standby 5.2" sized smartphone with Super AMOLED display at a pixel density of 284pixel per inches at 720p HD resolution. Under the hood, the device comes powered by 1.2 Snapdragon 410 Quad-Core 64bit CPU clocked at 1.2GHz paired with Adreno 306 GPU. It comes with 2GB of RAM and 16GB inbuilt memory with expansion support upto 128GB microSD Card Slot for smooth performance. The Galaxy J5 (2016) runs on Android 6.0 Marshmallow based TouchWiz UI out of the box. 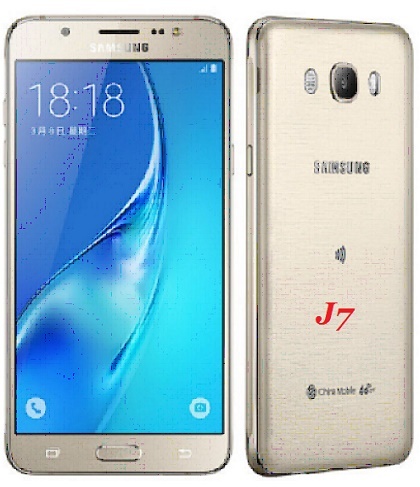 Galaxy J7(2016) is 4G LTE Dual Sim dual staandby 1080pixelled FHD Super Amoled 5.5" display Smartphone which offers a 401 pixel density. Under the hood, it fuels Exynos 7870 64-bit octa-core processor clocked at 1.6GHz paired with 2GB of RAM and 16GB onboard memory and SD card slot which support upto 128GB of memory expansion. It also includes additional standard connectivity options like Wi-Fi, NFC, GPS, Bluetooth and microUSB port. On Camera front, this smartphone comes with the a 13MP rear camera and 5MP front selfie snapperr with LED flash. The handset has a 3300mAh battery as per company claims that the it last upto 354 hours in standby mode. Galaxy J7 runs on Android 5.1 Lollipop operating system based TouchWiz UI. It measures 151.7 x 76 x 7.8 mm and weighs around 170 grams. Galaxy J7 also comes with S bike, Ultra Power Saving and Ultra Data Saving modes.The Samsung Galaxy J7 (2016) are priced at Rs.15,990 .